THIS DRESS SOLD. CONTACT SALES@BRIDESFORACAUSE.COM WITH DRESS INQUIRIES. 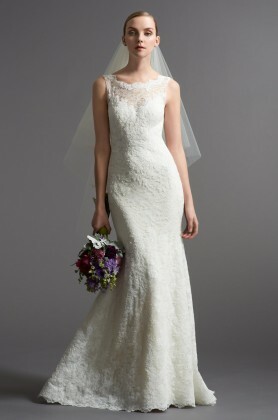 The Anna Maier Ulla-Maija Couture "Gemma" is a sleeveless fluted floral French lace mermaid wedding dress with a high neckline. 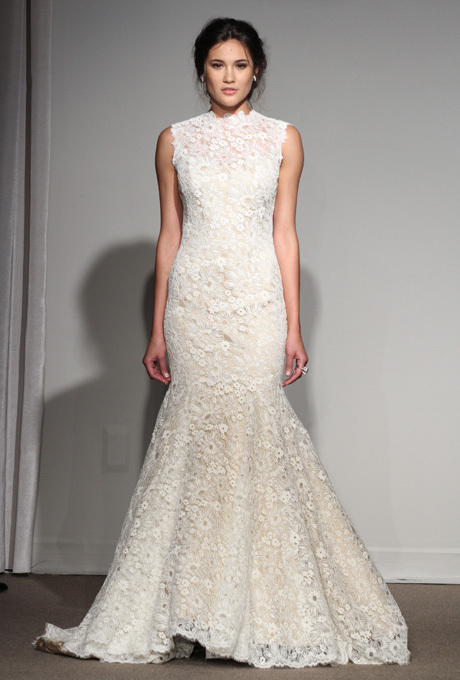 We have one of these couture wedding gowns available that was donated by a bride in Los Angeles! This dress has been altered to fit a size 4. It is a used dress and in great condition! Price negotiable.